Made for a friend, is supposed to help with translation or something. 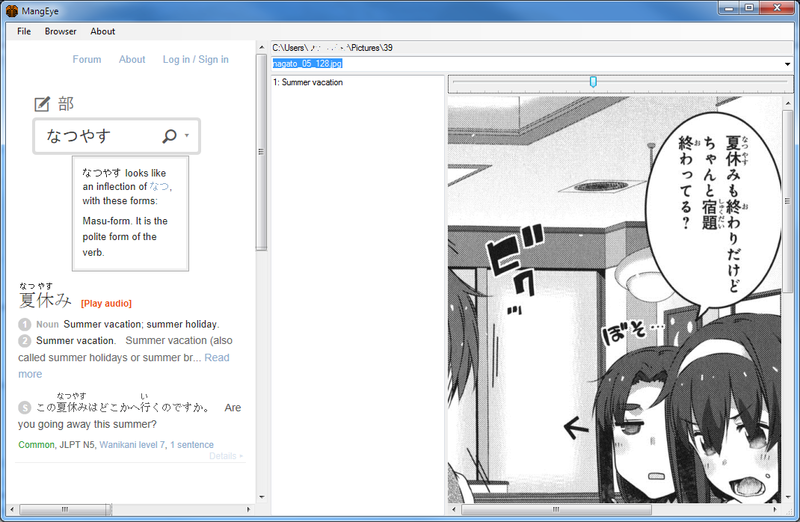 It has pretty panels - hooray for windows forms! Connects to Denshi Jisho on the browser panel although the browser function is actually pretty bad so you can't use the fancy scripts. Get it here! You know you don't really want to!